Feel good about treating your horse. This all-natural biscuit provides the goodness of yogurt to help maintain a healthy digestive tract. Made with grains, fruits, vegetables and two beneficial bacteria. Approximately 70 treats per bag. 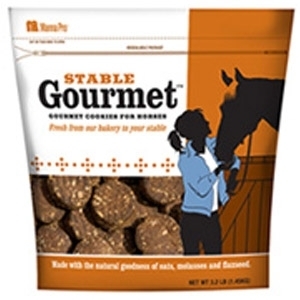 Treat your horse to oven-fresh, baked goodness with Stable Gourmet™ treats from Manna Pro. Our gourmet cookies for horses are made with wholesome, natural ingredients like oats, molasses, and flaxseed. 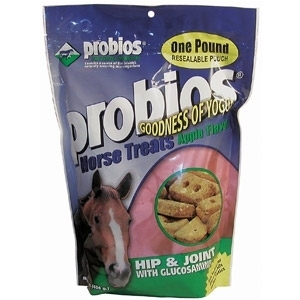 Your horse will love the taste of our delicious baked cookies! 3.2 lb.